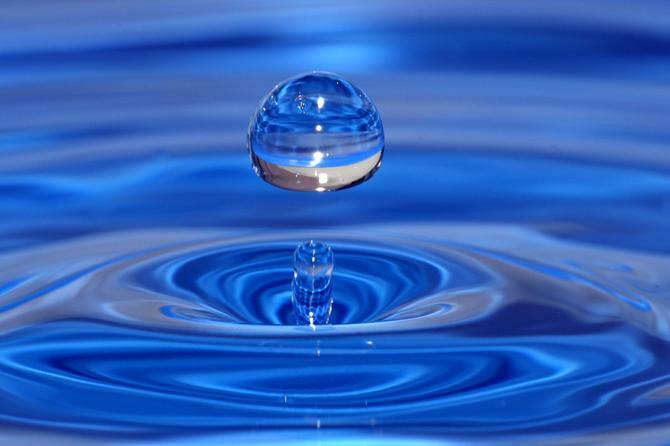 As one of Australia’s most established brands, Reece wanted to drive traffic to its FAQ and information website, YourHotWater.com.au, in order to boost awareness of sustainable water solutions around the home for consumers. While the website contained informative and practical tips about sustainability and hot water systems, Reece’s research showed people were largely uninformed and only acted when there is a breakdown and it’s usually too late. At the same time, while the cost and power savings of using an energy-efficient hot water system are considerable, consumers had a general lack of understanding around the fact that even cutting a few minutes off shower times could mean substantial savings per year for a family. In order to build strong brand awareness of the site, Reece collaborated with sports social content platform, 20FOUR, to launch the ‘Shower Thoughts’ marketing campaign. 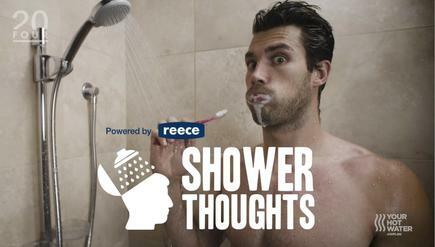 Featuring athletes such as Billy Slater, Alex Rance and Dyson Heppell, the ‘Shower Thoughts’ video series and social media campaign combined the premise that life’s biggest questions are often pondered in the shower, with the logic that these thoughts should also focus on the hot water we are enjoying at the time. The athletes created a total of 15, 40-second videos published on YourHotWater.com.au and Reece posted two videos per athlete on Facebook and Instagram. 20FOUR also posted two videos per athlete on Facebook and the athletes also leveraged their following by each sharing one video post natively and two shared posts from the Reece and 20FOUR accounts. Slater and Heppell posted on Facebook while Rance posted on Instagram. Towards the end of each content piece, a thought or question was presented that directly related to the FAQ section of YourHotWater.com.au, keeping with the overall irreverent and quirky nature of the content. Each piece then finished with a branded end-board encouraging users to check out the website for more. According to Palumbo, for Reece, the partnership took athletes out of the locker room and into a forum that households could relate to, especially when it comes to making decisions about renovating and repairing their bathrooms. “We also put a lot of trust back with 20FOUR in the concept creation create something really engaging and positive, and pleased with the talent they offered,” he said. “20FOUR did a lot of heavy lifting, and provided great feedback mechanism and the ability to measure things which was really positive. Since its launch only a few months ago, the campaign has generated more than 800,000 views, 15,654 total interactions and over 12,000 website visits. The breakdown of engagement by athlete also showed a positive influence and the power of their individual fan bases. Billy Slater topped engagement with 77,143 video views and 1,782 likes, comments, shares, followed by Alex Rance with 45,331 video views and 754 likes, comments, shares. Reece is now looking at future creative collaborations to raise awareness about ‘smart toilets’ in order to present the product in a fun and engaging way and take the stigma away from it. It has already been featured on The Block, another sponsorship partner.